Study by reading. Learn by doing. I thought it might be a good idea to put up a free sample of the CCNA and Beyond study guide. It's a PDF, but embedded into the page for you to read, all I ask is that you show a little bit of social love through Twitter, Facebook, or Google Plus. It is just a short extract of a few different bits, and is designed to give you a feel for the layout, and writing style of the book. I did try to include the table of contents, but Word had an issue with the TOC, so I removed it from the sample. Overall, the book runs to over 500 pages. View a sample of CCNA and Beyond here. CCIE #49337, author of CCNA and Beyond, BGP for Cisco Networks, MPLS for Cisco Networks, VPNs and NAT for Cisco Networks. Buy the PDF for just £9.99! 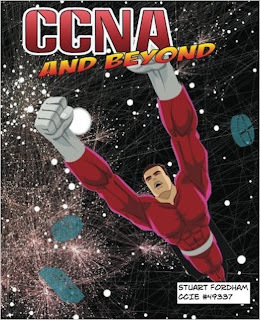 CCNA and Beyond: Finally published! CCNA v3.0: Why you should not be scared! 5 things Cisco Packet Tracer WONT teach you (but you should know). 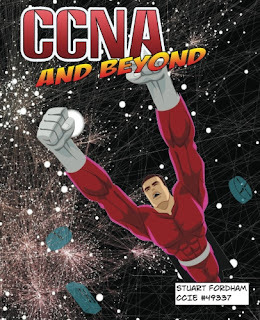 Win the CCNA and Beyond study guide!